Azure Logic Apps is replacing Azure Scheduler, which is being retired. 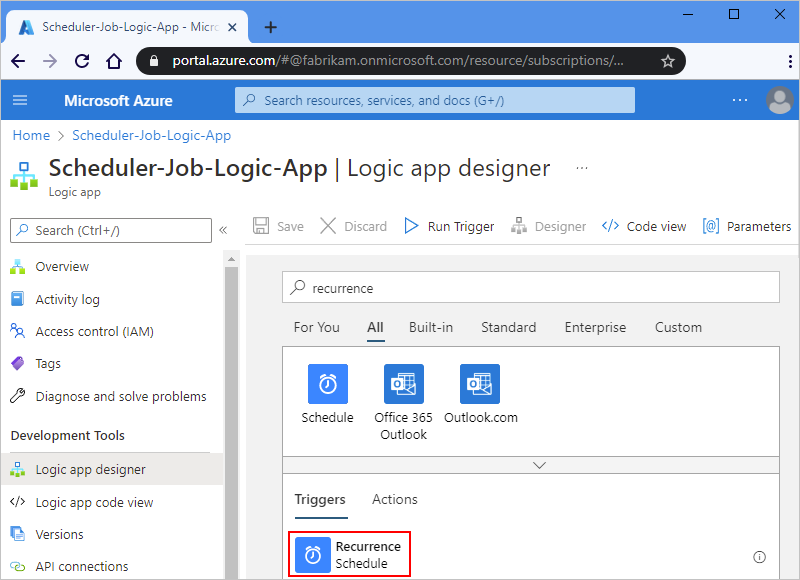 To schedule jobs, follow this article for moving to Azure Logic Apps instead. You don't have to worry about the concept of a job collection because each logic app is a separate Azure resource. You can run multiple one-time jobs by using a single logic app. 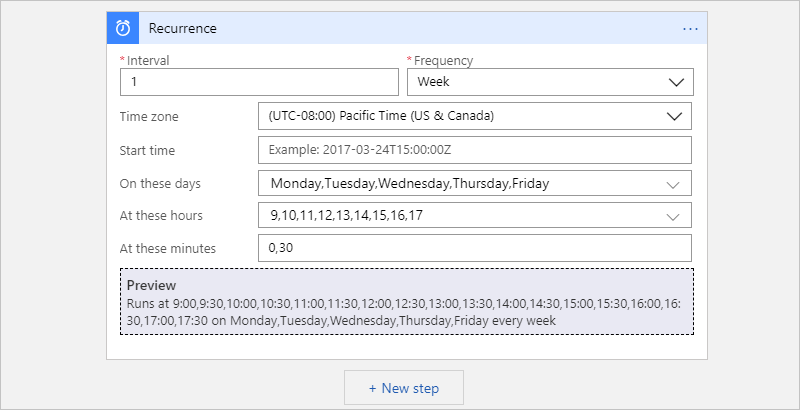 The Azure Logic Apps service supports time zone and daylight savings time (DST). To learn more, see What is Azure Logic Apps? or try creating your first logic app in this quickstart: Create your first logic app. An Azure subscription. If you don't have an Azure subscription, sign up for a free Azure account. 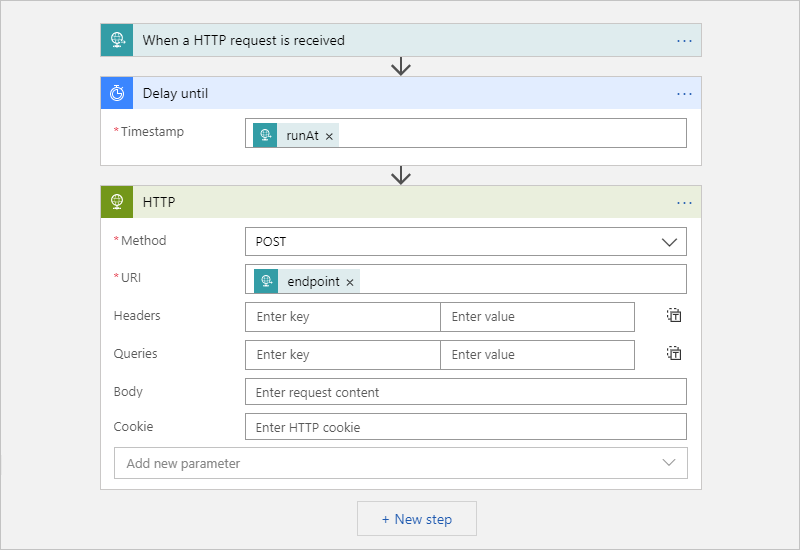 To trigger your logic app by sending HTTP requests, use a tool such as the Postman desktop app. You can run multiple one-time jobs by creating just a single logic app. 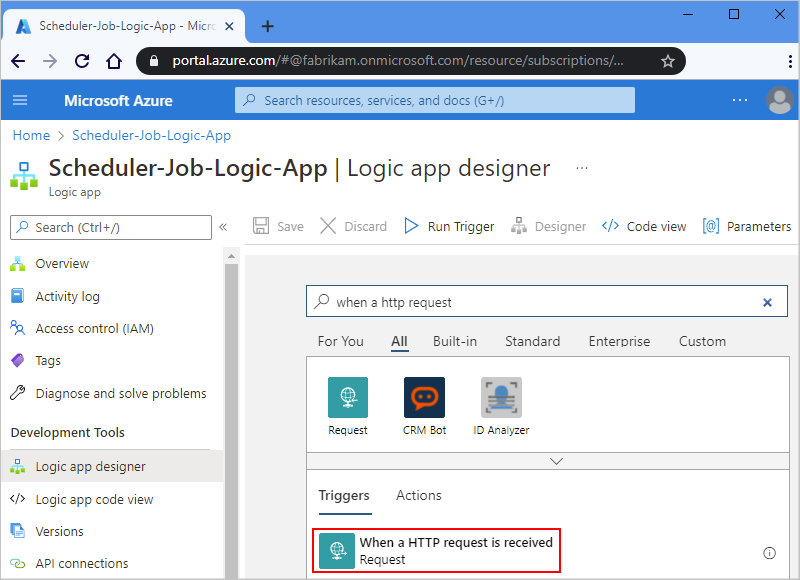 In the Azure portal, create a blank logic app in Logic App Designer. For the basic steps, follow Quickstart: Create your first logic app. For the Request trigger, you can optionally provide a JSON schema, which helps the Logic App Designer understand the structure for the inputs from the incoming request and makes the outputs easier for you to select later in your workflow. If you don't have a schema, but you have a sample payload in JSON format, you can generate a schema from that payload. 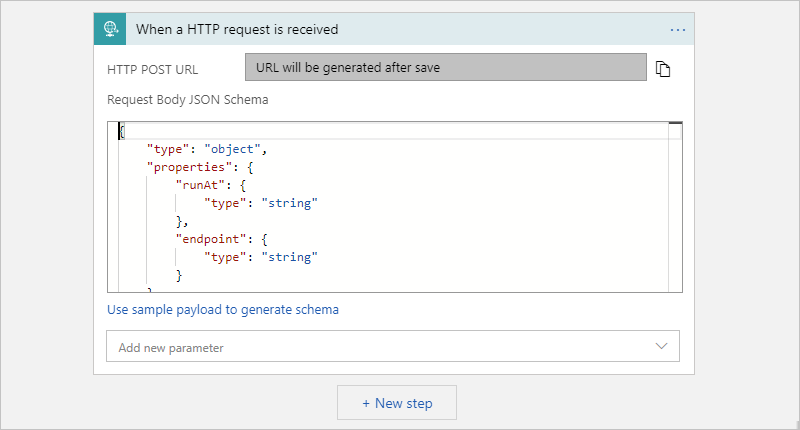 In the Request trigger, choose Use sample payload to generate schema. Under the trigger, choose Next step. 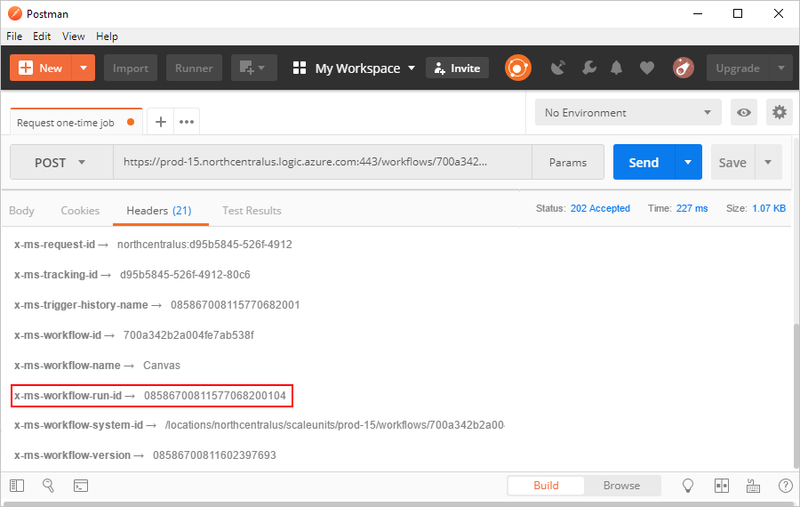 This action pauses your logic app workflow until a specified date and time. Enter the timestamp for when you want to start the logic app's workflow. When you click inside the Timestamp box, the dynamic content list appears so you can optionally select an output from the trigger. Add any other actions you want to run by selecting from ~200+ connectors. When you're done, save your logic app. When you save your logic app for the first time, the endpoint URL for your logic app's Request trigger appears in the HTTP POST URL box. When you want to call your logic app and send inputs to your logic app for processing, use this URL as the call destination. Copy and save this endpoint URL so you can later send a manual request that triggers your logic app. To manually run or trigger a one-time job, send a call to the endpoint URL for your logic app's Request trigger. In this call, specify the input or payload to send, which you might have described earlier by specifying a schema. 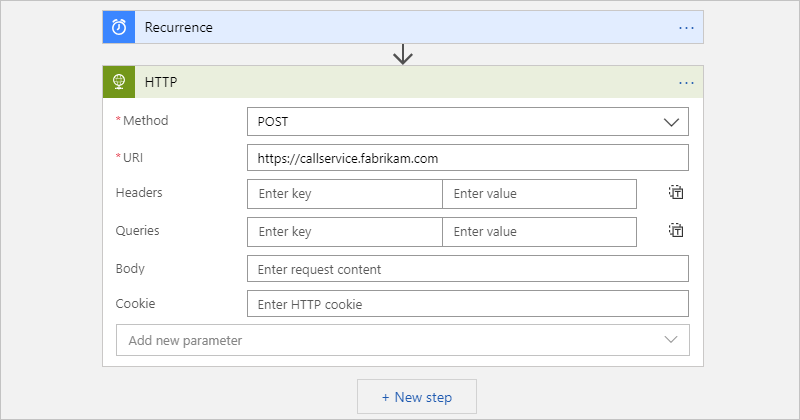 For example, using the Postman app, you can create a POST request with the settings similar to this sample, and then choose Send to make the request. In the raw box, enter the payload you want to send in the request. After you send the call, the response from your logic app appears under the raw box on the Body tab. If you want to cancel the job later, choose the Headers tab. Find and copy the x-ms-workflow-run-id header value in the response. In Logic Apps, each one-time job executes as a single logic app run instance. To cancel a one-time job, you can use Workflow Runs - Cancel in the Logic Apps REST API. When you send a call to the trigger, provide the workflow run ID. Set up a more advanced schedule, if you want. Add other actions you want by selecting from 200+ connectors. Under the trigger, choose Next step. Find and select the actions you want. Here are other ways you can customize your jobs. Open the action's (...) menu, and select Settings. Select the retry policy you want. For more information about each policy, see Retry policies. 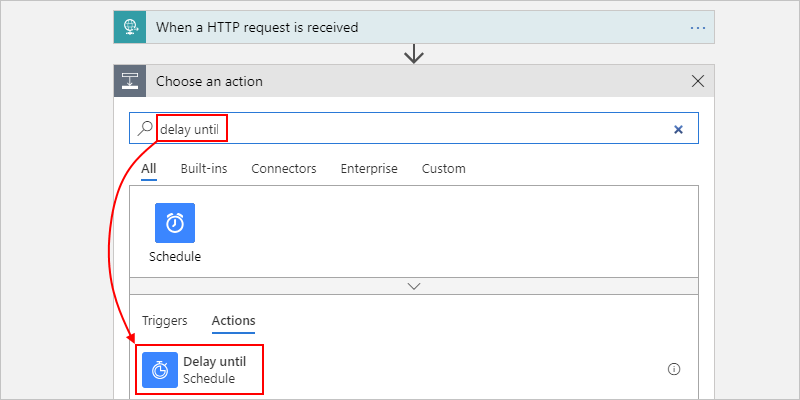 In Azure Scheduler, if the default action fails to run, you can run an alterative action that addresses the error condition. In Azure Logic Apps, you can also perform the same task. In Logic App Designer, above the action you want to handle, move your pointer over the arrow between steps, and select and Add a parallel branch. Find and select the action you want to run instead as the alternative action. On the alternative action, open the (...) menu, and select Configure run after. When you're finished, choose Done. To learn more about exception handling, see Handle errors and exceptions - RunAfter property. Q: When is Azure Scheduler retiring? A: Azure Scheduler is scheduled to retire on September 30, 2019. Q: What happens to my Scheduler job collections and jobs after the service retires? A: All Scheduler job collections and jobs will be deleted from the system. Q: Do I have to back up or perform any other tasks before migrating my Scheduler jobs to Logic Apps? A: As a best practice, always back up your work. Check that the logic apps you created are running as expected before deleting or disabling your Scheduler jobs. Q: Is there a tool that can help me migrate my jobs from Scheduler to Logic Apps? A: Each Scheduler job is unique, so a one-size-fits-all tool doesn't exist. However, various scripts will be available for you to modify for your needs. For script availability, check back later. Q: Where can I get support for migrating my Scheduler jobs? 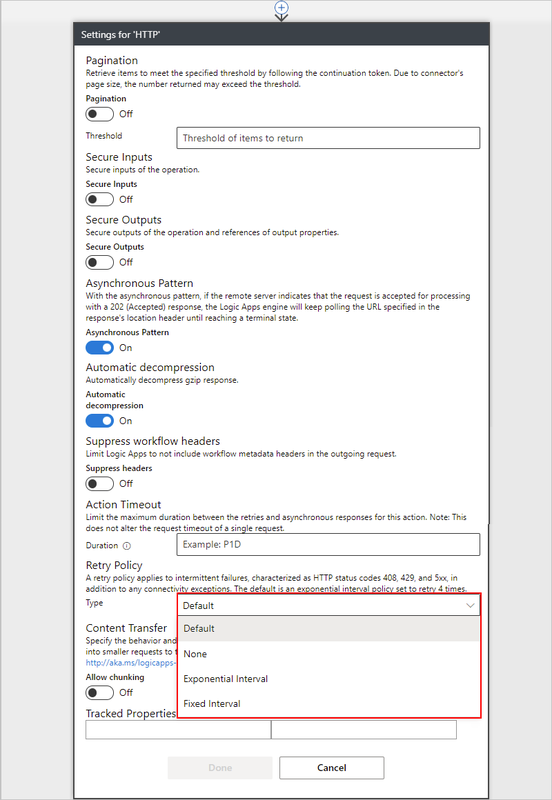 If your Azure subscription has a paid support plan, you can create a technical support request in the Azure portal. Otherwise, you can select a different support option. On the Azure portal main menu, select Help + support. Service Under Monitoring & Management, select Scheduler. Select the support option you want. If you have a paid support plan, choose Next.